Not only have we been talking about the recent black swan of falling oil prices and the associated impacts on the markets, but we literally just witnessed another black swan unexpectedly fly in. 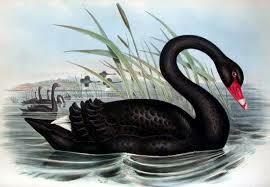 What’s remarkable about this second black swan is that the majority of people out there have absolutely no idea what happened yet it was perhaps the most dramatic and volatile financial event in history! What happened? Did the stock market crash? Was there a major corporate bankruptcy? Did a financial scandal occur? Earlier this month the Swiss National Bank (SNB) announced it would abandon its three-year old peg of 1.20 Swiss francs per euro. Within minutes the Swiss franc skyrocketed over 30% in value against the euro. At one point in the day it also gained about 25% versus the dollar. Not only were currency markets rattled but the Swiss stock market also got stung for a drop of about 10% in one day. Currency markets, like any other, can be volatile but never in history have we seen such a dramatic move. What was most odd about this event is that central banks normally telegraph their moves and make incremental changes. These adjustments are typically well thought out and often take weeks, if not months to materialize. Several very savvy currency traders we interact with have described the move by the SNB as unprecedented but also almost “irresponsible”. The fallout has been disastrous to several hedge funds and financial firms. The largest US retail currency firm, FXCM, had to be rescued from bankruptcy with a $300 million loan (lifeline) from Leucadia. Other firms, like Everest Capital, weren’t so fortunate; their $830 million Global Fund was completely wiped out on the news. Obviously with every trade there is someone on the other side who profited. In this case, however, there still isn’t anyone climbing out from under the rubble proclaiming that they predicted or prepared for this. Nobody did…and that’s exactly why this black swan has rattled the world. Currency markets are perhaps the most liquid in the world but in one day they showed that nobody was even remotely protected from a “Flash Crash” type event. Interestingly enough, those currency traders and hedge funds that had stop losses in place to hedge the risks of dramatic moves may have been stung worse than those who didn’t as the Swiss franc did come back down before everything settled on that dramatic “Black Thursday”. When central banks make policy moves thousands of computers automatically adjust within seconds but on this day the world witnessed a move like no other. Does this news mean that you should stay away from currency exposure? Does it mean you need to learn what or how this will impact your other “mainstream” investments? We believe it’s actually the perfect opportunity to learn why currency exposure should make up part of your overall asset allocation. Most people, including experienced financial professionals, have no clue how or why you should invest in currencies. Enhanced diversification: True diversification is more than owning five large cap US stocks that Jim Cramer is barking about. A truly sophisticated portfolio will have exposure to a variety of asset classes. Lower Volatility: What’s more volatile? Stocks, Bonds or Currencies? Believe it or not, currencies provide the least amount of volatility as measured by standard deviation between these three asset classes! Uncorrelated Returns: An intelligently designed portfolio should have instruments that don’t move in tandem with everything else. Currencies offer returns that have low correlation to the traditional asset classes that almost every boilerplate model allocation recommends. This article isn’t suggesting that you go out and buy things you don’t know or understand. As with anything, perform your due diligence and be aware that there’s not a single financial professional who is an expert in all asset classes. For reasons such as this the hiring of an expert is critical. If you would like more information on currencies or how they can be incorporated into your portfolio, please let us know. This entry was posted in Alternative Investments, Asset Allocation, Currencies, Economy and tagged Black Swan, SNB, Swiss National Bank, Swiss peg by Matt@DearMrMarket.com. Bookmark the permalink.